It’s the last few hours before Christmas and you are still fretting over what to buy atleast one individual on your shopping list as everyone else around you unwinds for the year. 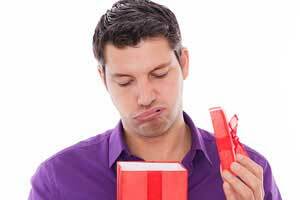 You could rush out to the local shopping centre and snag the last of whatever unwanted gift hampers are still on the shelves, but lets face it that would likely result in a discontent face or sighs in dissatisfaction from your recipient. It is one of these inidividuals which will also likely stand in long queues at the shopping centres after Christmas Day to try and return their unwanted gift or regift it to someone else they think may enjoy it more than themselves. If you are like most people, you are either sick of Christmas shopping by now or still too busy to comprehend another trek to the shops. Considering your family and closest friends are critical members of your social group then you don’t want to disappoint them with an undeserving gift. They deserver your love, respect and a bloody good present. So have you considered a personalised or photo gift? Ofcourse it may be too late now to actually recieve the gift in the mail or pickup from a photo store in-time for the big celebration day, but you could always print out a sample of your design featuring your unique creation and include it in a greeting card. You will then have them excited about the gift that will soon arrive for them and thrilled that you created something different and memorable that they’ll probably treasure forever. Create a photo gift at DigiGifts today and save the preview (or sample image) design to your computer to print out for inclusion in a greeting card right now. There is nothing more special than a personalised gift from your family or closest friend. With Christmas now just around the corner (in a few days time) it gets a bit more difficult to sort out a truely unique personalised gift that can be created, printed and shipped in time for Christmas, so some of the items featured below may be a good alternative to enable you to showcase your precious memories and get them shipped out just in-time. This easy pop-up photo notebox frame and photo pen holder gift set is perfect for the work-a-holic or home office worker so they can keep cherished memories close by. The gift set includes 100 note cards and adorable photo pen. All you have to do is cut your photo to size and slip into the slots provided on the notebox and pen for a truely unique gift. This item is available via express postage (Australia wide), so don’t delay if you want to get it by Christmas. Another great gift idea for the work-a-holic to showcase on their desk at work or in the home office. Also perfect for use in the kitchen at home to help keep track of dates. This lovely desk calendar holds 12 mini photos which you cut and insert yourself. Photo cutting template included to get your photos to the right size for each of the 12 slots. This item is available via express postage (Australia wide), so don’t delay if you want to get it by Christmas. This vibrant photo card doubles as great little photo album or brag book which is perfect for friends and relatives you want to showcase multiple photos with. It holds a total of 14 photos at 6×4 inches (standard photo size) enabling presentation of family adventures, holiday trips, new family members, etc. This item looks great sitting on a shelf or hanging down a wall (or fridge). Mothers and grandparents will especially love pulling it out of their handbags to show off photos to their friends of family too. This item is available via express postage (Australia wide), so don’t delay if you want to get it by Christmas. This is part of our Do-it-Yourself product range where you just order the quantity you need and then when it arrives follow the simple instructions inside to cut your photo to fit and slot them inside for a beautiful and memorable christmas tree ornament. Holds a single photo cut to size. This item is available via express postage (Australia wide), so don’t delay if you want to get it by Christmas. Get your selected photo transformed into a quality glass crystal keyring for an everlasting memory. Approximate measurements: 2.5×3.0cmx0.8cm. Created with high quality clear acrylic. Available in oval, rectangle, heart and teardrop shapes. This item is still available via express postage (Australia wide), so don’t delay if you want to get it by Christmas. Please note production takes atleast 24 hours so you must order quickly so its shipped out the next working day.